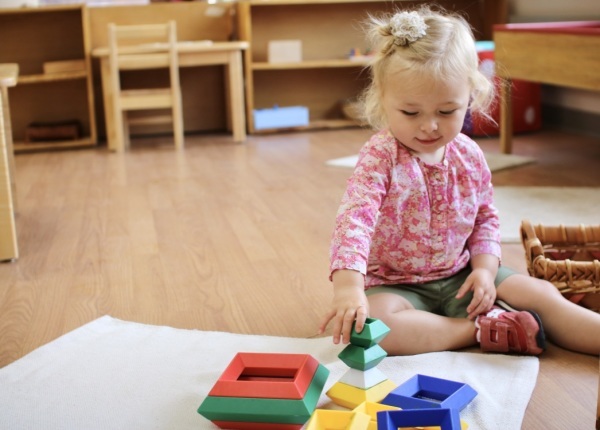 It’s important for a preschool child to gain a concrete understanding on how our numerical system works. 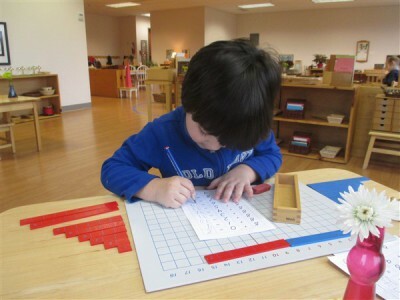 The Montessori Method of early mathematics uses a variety of tools to demonstrate quantity. 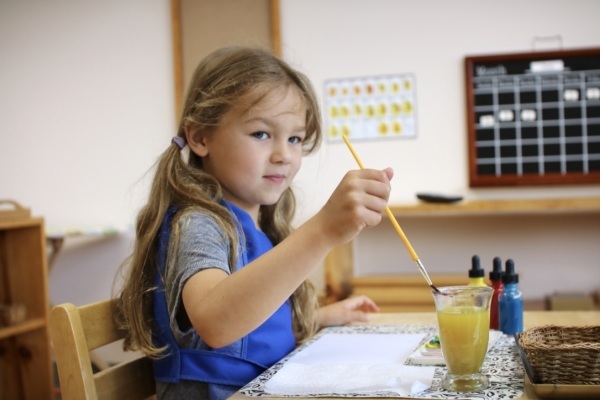 Thus a child learns naturally what 1-10 looks and feels like. The glass bead stair is a beautiful example of this. Each number corresponds with a specific color. 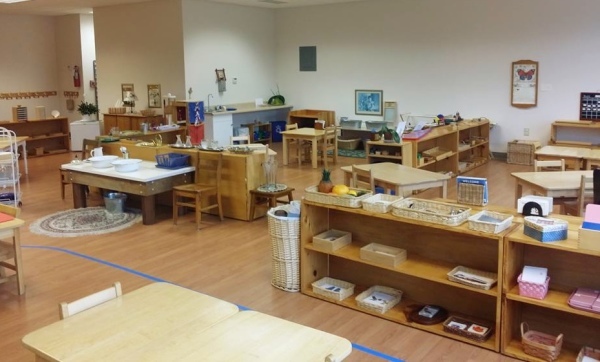 The child builds the stair by counting or by organizing by size. Once she understands 1-10 then she can also comprehend 10-100, 100-1000 and so on. 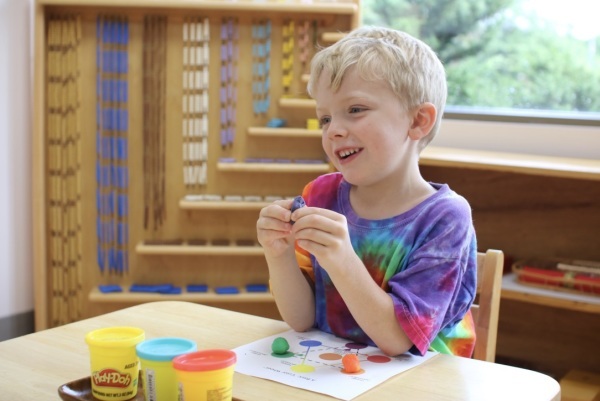 The materials allow a child to touch and hold differing quantities, thus showing how one thousand feels different than one hundred. 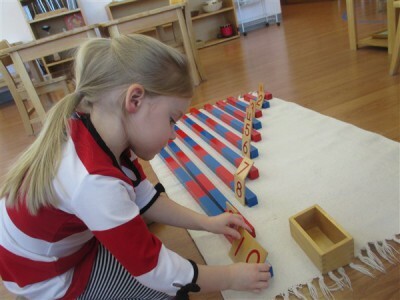 This concrete understanding of how our numerical system works is integral to the abstract method they will learn later on.